In a Nutshell: When it comes to home mortgages, the associated terminology and jargon alone are enough to make some people reconsider making one of the most important purchases in their lives (amortization, anyone?). Not to mention that people with less-than-perfect credit might be altogether spooked by mortgages or assume they’re too cost-prohibitive. Founded in 2005, Bills.com provides a wealth of free mortgage information. Through comprehensive, expertly written and curated articles, interactive tools, and other resources, Bills.com makes it easier for anyone interested in owning a home to do the necessary research. Owning a home has been one of the hallmarks of American life for decades. And for most people, it’s the single biggest purchase they’ll ever make. Needless to say, it pays to do your homework before going down this road. But understanding the fundamentals of exactly how mortgages work and how to go about securing one can be difficult, to say the least. And make no mistake, there’s plenty to grasp — the various lengths or “terms,” the pros and cons of different lenders, how much you can afford, principal, taxes, insurance … the list goes on and on. 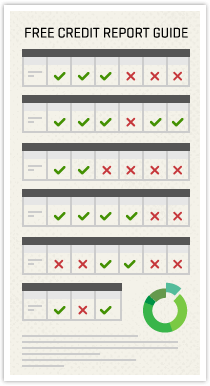 This process is even more difficult for those with less-than-perfect credit. When potential home buyers seek out information, it can be tough to determine whether they’re getting unbiased, objective information. It’s important for these folks to know that there are mortgage options created specifically for them consisting of lower payments that help free up cash to put toward other bills. This is why Bills.com has become such a helpful resource as one of the largest consumer websites for financial education. And mortgage loans is one of the site’s specialties. Bills.com has in-depth articles, interactive tools, and information on exactly how to go about qualifying for a home purchase loan, how much home and mortgage you can afford, and provide mortgage rates and comparisons of FHA (Federal Housing Administration) and conventional loans. All of this is geared toward helping each individual find a mortgage that best fits his or her unique financial situation. In addition to mortgage information, Bills.com also provides guidance for personal finance, managing debt, and credit resources. For folks with a limited knowledge of the mortgage process, walking into a bank and sitting down with a representative to discuss options can be pretty intimidating. And it’s hard to discern whether the bank is giving you impartial information. After all, a bank is a business, and a business must make money. Bills.com allows people interested in a mortgage to sit down and educate themselves at their leisure with an array of free tools and resources. To get you started, the site offers a selection of articles written by Bills.com experts on a variety of topics. Articles like Mortgage When My Spouse Has Bad Credit, Mortgage Tips to be Better Qualified for a Mortgage, and Buying a Home to Meet Your Family’s Needs are just a small sample of some of the excellent, informative content on Bills.com. The site also features a popular Q&A section where users can submit questions to be answered by an industry expert and read and rate past responses. Oftentimes, reading others’ mortgage-related issues and concerns can help you understand areas you may have yet to consider. Reaching into Bills.com’s extensive toolbox is another way of becoming more prepared to buy a home. 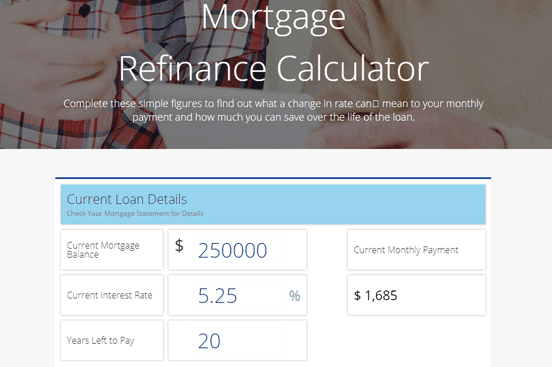 The Mortgage Payment Calculator allows you to enter a loan amount, interest rate and length of the loan to “easily compare different scenarios by changing any of the three inputs.” The great thing about this particular calculator is that you don’t necessarily have to have taken out a mortgage to gain valuable insights based on different criteria. This is an excellent place to start. The Mortgage Affordability Calculator helps you figure out a price range based on income and other factors. 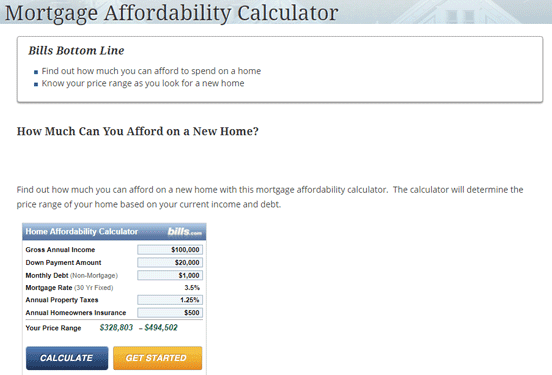 The Mortgage Affordability Calculator lets you tally how much you can spend on a new home. This way, you know your price range before you begin your search. Today’s Mortgage Rates for Refinance and Purchase is another valuable comparison tool. Because mortgage rates change so frequently, this tool lets you look at the most current rates anonymously in under five minutes. The anonymity here is a valuable feature — as you’d otherwise need to leave an email address or phone number at most other resources for this kind of information. This tool only requires you to enter loan type, loan term (length), state of residence, and your credit score, and generates results almost instantly. Bills.com also offers a “Get a Free Mortgage Quote” tool that can give you a good idea of what to expect on a mortgage by answering a few simple questions without making any commitments. For those who already own a home, refinancing can be a (potentially) easy method of getting a lower interest rate on an existing mortgage. And with home prices on the rise (up 7.1 percent year-over-year as of November 2016), refinancing to tap into the appreciation of your home could be a smart option. However, there can be some drawbacks in the way of fees and other unexpected costs, but Bills.com has you covered on the details. The Mortgage Refinance Calculator helps you understand how rate changes can affect your payments. The site’s Mortgage Refinance Calculator works the same as the other tool offerings available, in that it requires you to enter the details of your current loan but does not require any personal information. This particular tool helps you calculate potential refinance loan terms based on your present loan info and compare your refinance offer in terms of monthly payment savings and interest savings over the life of the loan. These factors are important to consider, as sometimes refinancing can actually increase your monthly payment — just one more reason to take advantage of Bills.com’s expertly curated, user-friendly tools to educate yourself before making a move. The reason Bills.com stresses this caution is because of the fundamental way in which a reverse mortgage works. Essentially, you use the equity in your home to receive monthly income payments. But lenders generally charge an “origination fee,” other closing costs, as well as servicing fees over the term of the mortgage. There’s also the issue of predatory lending that uninformed homeowners could fall prey to. Staying educated is your first line of defense against making any decision that could affect your credit or far worse. 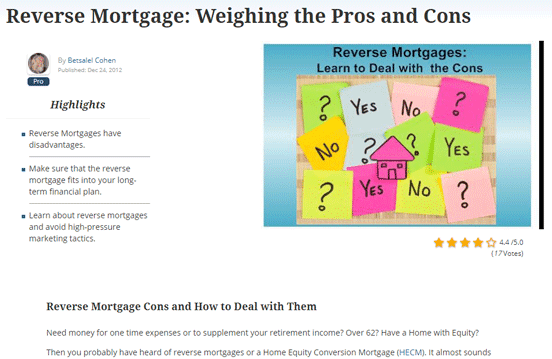 Reverse mortgages are risky, so Bills.com has a lot of resources on what to know about them. With the combination of aforementioned tools and Bills.com’s well-researched articles, it’s easy to stay ahead of the curve. Sure, mortgages are difficult to approach and understand. They can even be downright scary when you start to do the numbers. But as the old saying goes, knowledge really is power. Using the bounty of information on Bills.com to educate yourself before making important, life-changing decisions, like buying a house, gives you an advantage. You can rest assured knowing you’re getting well-researched information from experts without becoming beholden to a Realtor or lender. Bills.com makes it easy for anyone to possess the knowledge needed to make owning their own home a reality.